The winner of the giveaway is…. Sara P.!!!! Congratulations, Sara! Thank you for reading and participating! I truly appreciate your enthusiasm! Enjoy your beautiful new Well Fed cookbook and especially the yummy new recipes you will make! Tomorrow my husband and I will be preparing for our Whole45 which we are starting on Monday! We will plan all of our meals for the week and maybe longer. Then, if there is anything we need for the week’s meals, we will go shopping. Last time we did a Whole30 we did not do as much food prep ahead of time as we would have liked, so this time we want to spend some time each Sunday chopping vegetables, cooking meats, etc. so that making meals will be much faster during the week. Who doesn’t want that?! I mentioned Whole30-style eating is great for me for more and sustained energy, a clearer mind, and feeling better in general. Something else I’ve noticed is my skin is completely clear when I’m eating well, but if pimples ever pop up, it’s always when I’ve been eating too much sugar and/or other non-Whole30 foods. I have also noticed that when I eat things that are not on the Whole30 plan I am more prone to feeling stressed out and anxious. I believe sugar contributes to this, but I’m not sure if there are other contributing foods or not. I look forward to seeing what we learn from doing a Whole45, meaning for 45 days, instead of a Whole30 like we did last time, and from doing the reintroduction steps afterwards to see how different foods affect each of us. I am especially curious to find out how grains affect me– gluten-containing grains and non-gluten grains. I wonder if one or both categories of grains contribute to me being more prone to getting stressed out and anxious when eating off-plan foods or not. There is one food that causes effects for my husband and I that we are already aware of: dairy. I do not usually eat it because it causes congestion and/or a stuffy/runny nose for me. This has been the case for as long as I can remember. Then, recently, I found out that my mom started to give me cow’s milk after I turned 1, and it seemed to make me sick at that age. I had been perfectly healthy before, but then I started getting bronchitis frequently and we made lots of visits to the doctor. Once my mom took me off the cow’s milk, I stopped getting bronchitis. I haven’t had bronchitis since then. I thought that was interesting. Moreover, my husband has a kind of lactose intolerance. He can’t consume too much dairy or he gets an upset stomach. So, that one is not a mystery to us, but I look forward to learning about the rest! I will be documenting my Whole45 on the blog, so you can follow along on my journey! I will update you on how it’s going and what my meals are. I will also post recipes that I particularly like for you, of course! And I will share what I learn along the way and any tips I have, applicable whether you do a Whole30 or not! I’m excited for this and for you to follow along with me! 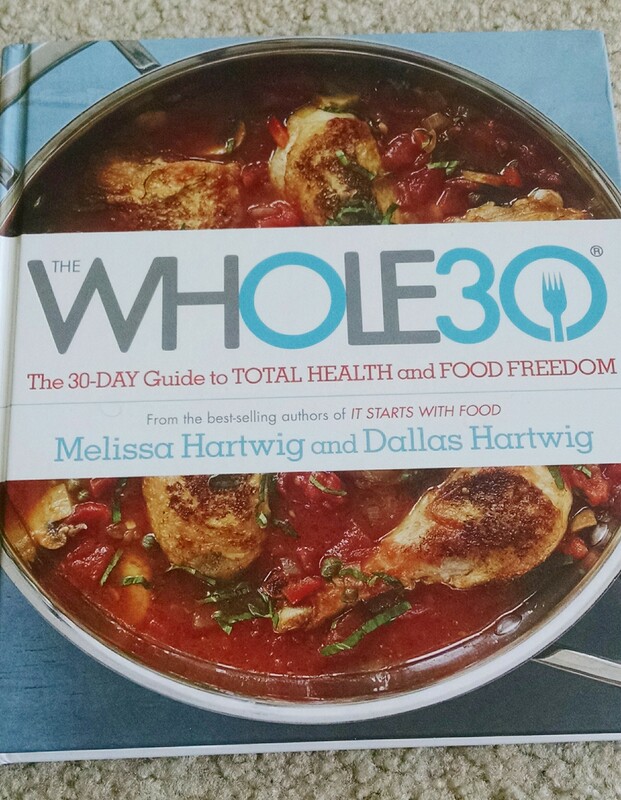 If you are curious to learn more about the Whole30 and/or think you want to do one, I would recommend checking out the Whole30 website, It Starts With Food, and especially The Whole30: The 30-Day Guide to Total Health and Food Freedom. Thank you for a wonderful launch week! It has been so much fun and a great kick-off for my blog! I look forward to more fun, and I sincerely appreciate you reading! I am jumping up and down!!!!! Love me some Melissa Joulwan!!! Thanks Danielle! !